Apologies for getting these out so close to the first press conference. I meant to do this yesterday but was busy with another project. Then again, with all the games getting revealed before the conferences, what kind of predictions are there to be had anyway? As one of our editors, Eric Chetkauskas, said in our predictions discussion, “There won’t be anything left for E3, everyone’s announcing their games now.” While I do think there will be more games announced, I do have to agree a bit with that sentiment. Not ridiculous enough. Let’s try again. …Can you at least try to be original? Well, at least Josh Speer was trying with that last one. But I think writer Tom Tolios wins for ridiculous. So, enough of the ridiculous and negative. What do we think may happen this year? Nintendo: Super Mario Collection for 30th Anniversary, Zelda 30th Anniversary (2016) plans. Animal Crossing U announced, Splatoon DLC, a Nintendo Land-esque amiibo game announced, DeNa/Mobile games, QoL, Quick tease of NX. If the NX is ready enough to be shown, look for Zelda U to be a launch title for that, and another Zelda game (Twilight Princess 3D?) to be revealed. Look for at least one more “New 3DS” exclusive. 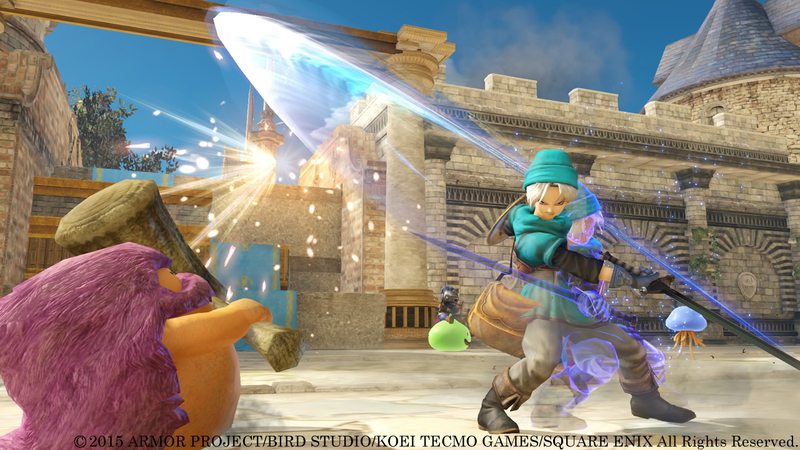 Square Enix: Dragon Quest Heroes 2 (Japan only), *possibly* one other DQ game announced for NA (most likely candidates are VII, VIII, or Theatrhythm). Final Fantasy Explorers for NA, A new FF mobile game (probably Japan only). Microsoft: A new Battletoads game. Something Shenmue 3-related. Come on already, SEGA! Square: Kingdom Hearts Unchained χ gets an English release. Dragon Quest, hint hint? Ubisoft: That one Wii U game they have ready is announced; it turns out to be another title of the Just Dance variety. Atlus: The new Kenka Bancho: Badass Rumble installment for the 3DS is localized. Bethesda: Something id Software related. Maybe a new Wolfenstein game or new campaign for The New Order. 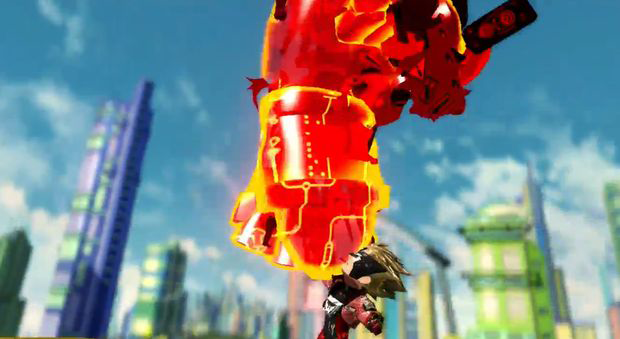 Maybe a second Rage game teased. Dishonored II revealed. Microsoft: New Fable game. New Rare game… and by that I mean a new game using a Rare property. New expansion for Project Spark. Demo for new Call of Duty. Maybe a new Gears of War. EA: New Need for Speed title. Rory McIlroy will come in and pimp the PGA Tour game. The new Criterion game will be revealed. Something Facebook and Mobile related. Ubisoft: The Rabbids will be doing something. Either a dance party with Just Dance or jam session for Rocksmith. New Call of Juarez game revealed. Something new from UbiArts. Some movie talk. Sony: The Last Guardian finally revealed at last. Some sort of exclusive content for Battlefield players. Price cut for PS Vita. Maybe a Vita game. Nintendo: A montage of Nindies. Mother 3 to release in the future. Yo-kai Watch and another Level-5 property (hoping for The Snack World) get first looks in English. Next Metroid game announced. Square Enix: Dragon Quest VII and Dragon Quest VIII 3DS remakes coming to the West. Another Final Fantasy remake. 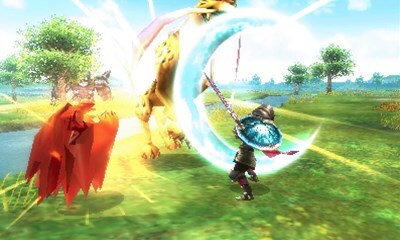 Final Fantasy Explorers coming West. More games on mobile. Well, that’s what we’re hoping for. What do we think will happen?